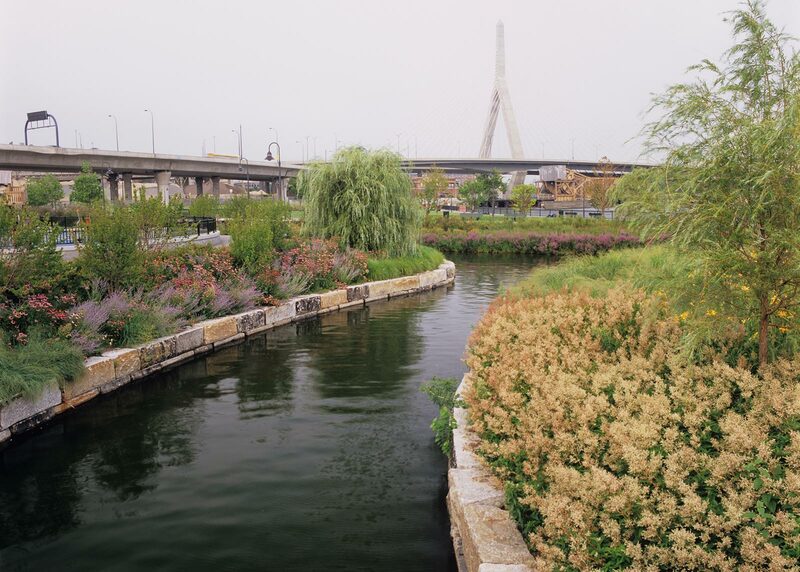 This eight-and-a-half-acre park, located atop a brownfield in Cambridge, is oriented along broad waterfront edges in the midst of the city. 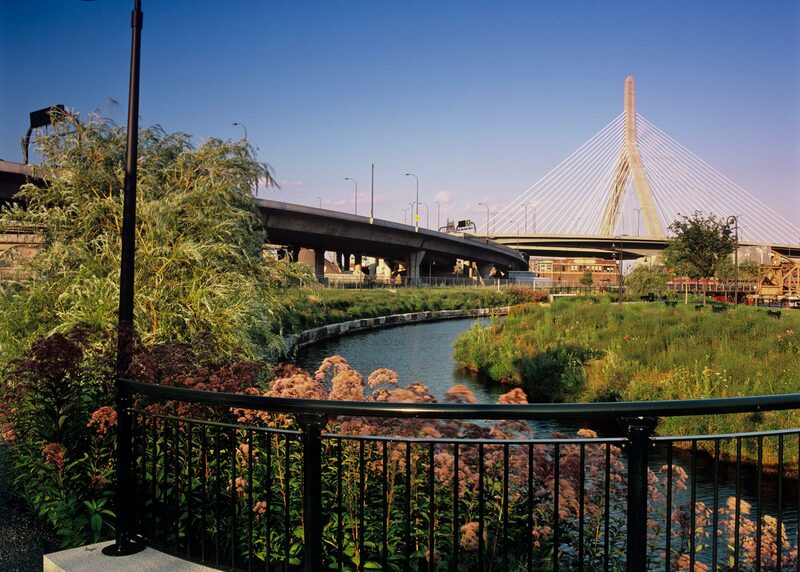 The park focuses attention on the Charles River Basin and away from the bustle of nearby city highways. 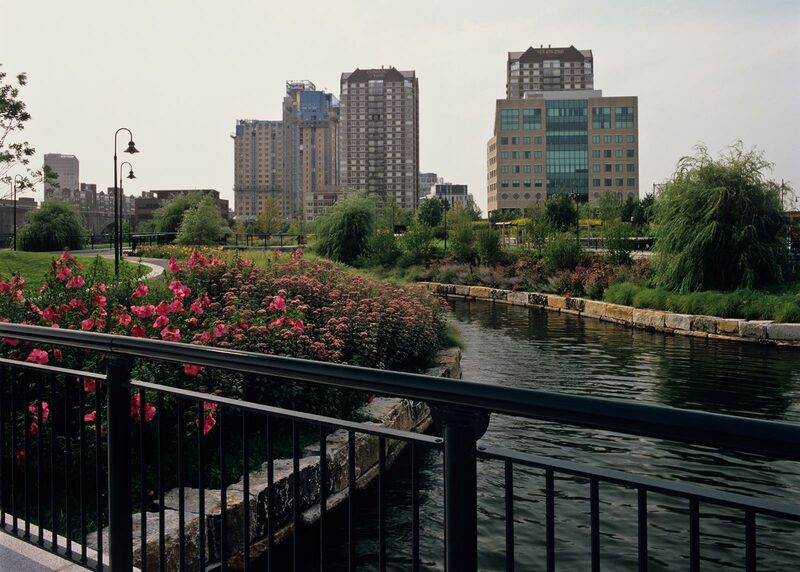 Terraced seating areas and sloping lawns enhance the connection to the river. 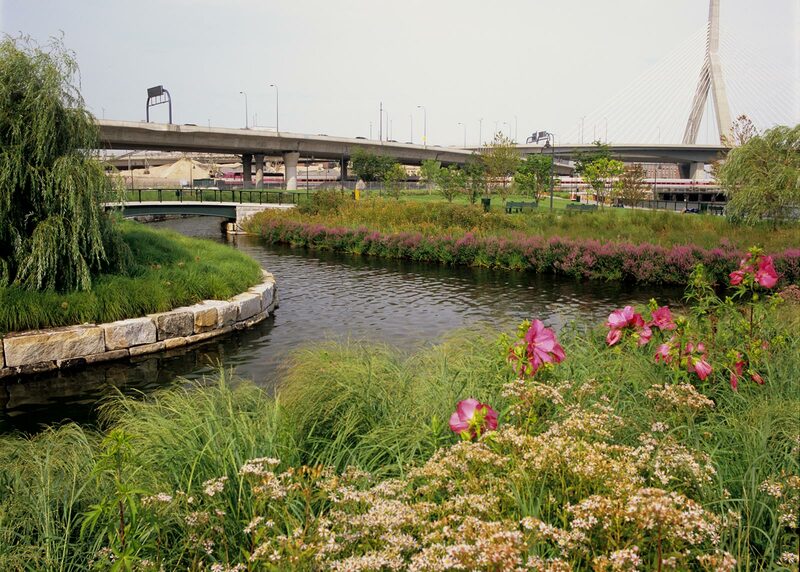 While the overall landscape character of the park is intended as a simple, bold statement, the landscape accommodates a variety of passive and active recreational activities. Planting is arranged in the traditional park manner, but enhanced with broad, meadow-like masses that provide accent and create interest. Bold sweeps of perennials provide year-round beauty. 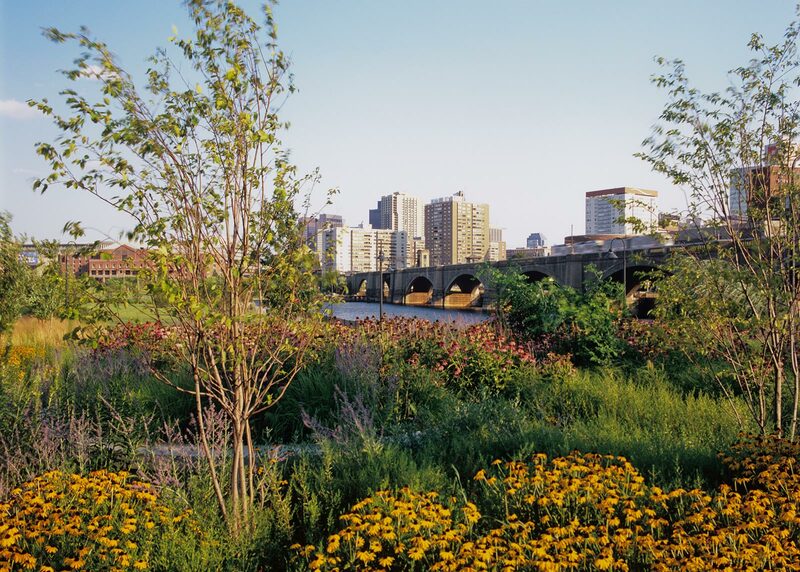 Shade trees placed along the park’s edges form a continuous green boundary, and flowering trees frame dramatic river views.